“The Devil is in the Detail” implies that although something might look simple at first, there is a catch hidden in the details. Often an idea seems wonderful, but turns out impossible to implement. We may be able to agree on generalities, but come to blows on specifics. A project may appear straightforward and easy, but takes more time and effort to carry out than we expected. “The Devil”—our difficulties and challenges—hides in the details. This is the contemporary understanding of the idiom. But, it was not always interpreted this way. Use of the phrase goes back at least to the early 1800s when French writer Gustave Flaubert (1821-1880) said “Le bon Dieu est dans le détail.” By saying “The good God is in the detail” Flaubert was emphasizing that details were sacred and significant. Whatever one was doing, it should be done thoroughly and with full attention. Details are important. The actual source of the idiom is unknown. It’s generally accepted that German-born architect Ludwig Mies van der Rohe (1886-1969) used it, but almost certainly did not invent the phrase. It was a favorite of German art historian Aby Warburg (1866-1929) although his biographer could not be certain it originated with him. Some have attributed it to Michelangelo (1475-1564). Bartlett’s Familiar Quotations lists it as an anonymous saying. 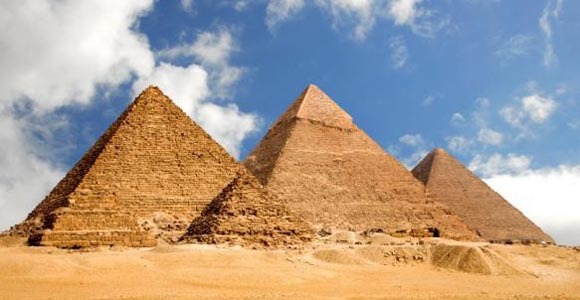 Books about well-known societies and cultures have fewer challenges in world-building. Most readers already know the Regency or Victorian era, the Tudor or Plantagenet dynasty, Renaissance Italy, medieval times, and popular ancient cultures such as Rome, Greece, or Egypt. Historical fiction authors writing about less known cultures have more need for thorough world-building. In particular, I have in mind ancient Mesoamerican civilizations. Even indigenous groups in North America lived in worlds generally less understood by most readers. In these cases, putting in sufficient details is important. 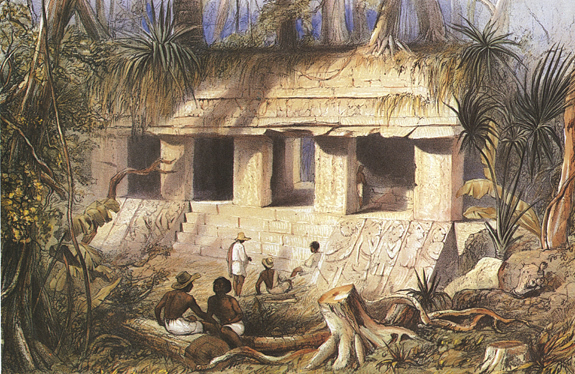 My HF novels are set in ancient Mayan civilization. There is a dearth of literature focused on this culture; even the Aztecs and Incas get more press. Because of this, my books include details of everyday life, technology, arts, and cosmology to provide a fuller picture of this advanced culture. I weave this information into the story with several writers’ caveats in mind: whenever possible “show rather than tell,” make expositional dialogue seem natural, make the details serve the plot or character development. Most importantly, keep it interesting. Ah, there’s the rub. How much is enough and not too much? Reviewers have called my books “well-detailed,” “no light read,” full of detailed descriptions,” “complex world-building.” They also say the books “provide a realistic feel,” give “depth and meaning to overall events,” and make “the Mayan world and its underlying influences come alive.” But one review from a pricey and well-respected source felt there were just too many details. While the information was captivating, there was far too much for an enjoyable novel. Besides, they complained that readers really didn’t need to know about the “trapezoidal linear truss using high strength timber crossbeams” that made Lakam Ha’s architecture innovative. Who would want to know? Anyone interested in ancient Mayan civilization. without metal tools. 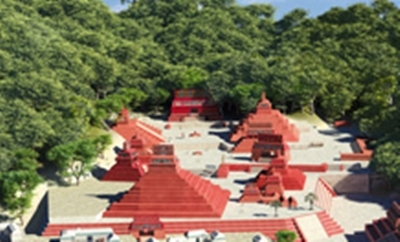 Ancient Lakam Ha (Palenque) is widely known as the most graceful and architecturally unique Mayan city. A good deal of literature examines how they built and what innovative technologies allowed Lakam Ha to create its harmonious structures. 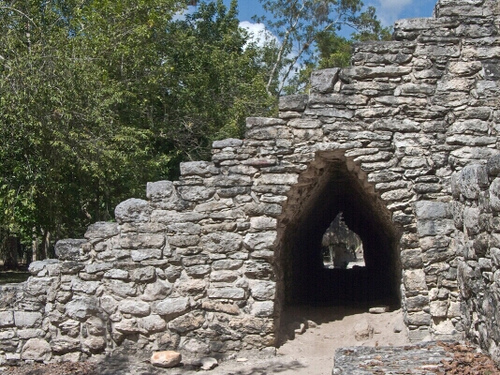 Mayas traditionally used a corbel arch technique to form ceilings of chambers and passageways. Not a true arch, this technique lacked support strength. 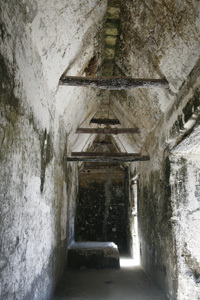 At Lakam Ha, ceilings were higher and rooms wider than at other Mayan cities. The trapezoidal linear truss was the technology that made this possible. In any case, this is mentioned only once in a short passage of three paragraphs. 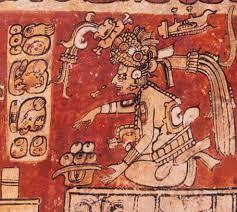 The description is set in dialogue between ruler Pakal and his chief architect. To my thinking, it is such tidbits of detail that give readers a good sense of this remarkable culture’s immense creativity. But perhaps I get carried away . 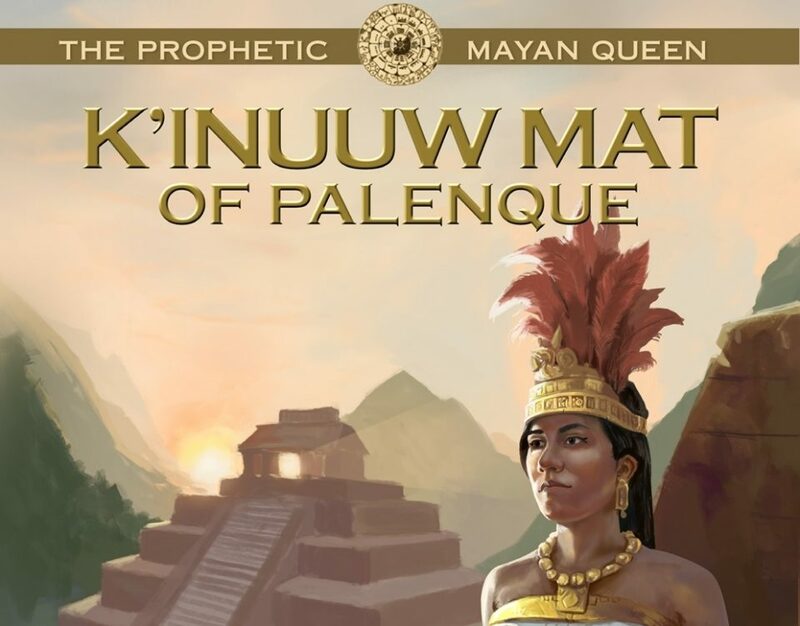 . . in my most recent book about Mayan queens, publishing in October 2018, one major character is a brilliant astronomer and numerologist. 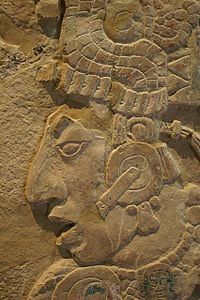 Kan Bahlam II, who becomes ruler of Lakam Ha when Pakal dies, invented the 819-day calendar and a secret code language based on astronumerology called “Zuyua.” He conceived and had built The Cross Group, a three pyramid complex considered the ultimate statement of Palenque creation mythology. Panels in these pyramids are carved with hieroglyphs and figures that embed the secret codes and calendar, and weave them with Kan Bahlam’s personal history. It is pure creative genius. Therefore, I wanted to share this knowledge with readers. After sending the manuscript to my beta readers, however, their feedback made me realize that although captivating, this really was too much information. Several pages of explanations and examples of astronumerology were cut from the book. After all, it had taken me several years of study to understand it and I couldn’t expect readers to grasp it on first exposure. Because the Devil is in the Detail. Coming soon! Publication date October 2018 (paperback and ebook). Watch for pre-order page on Amazon or ask your local bookstore. 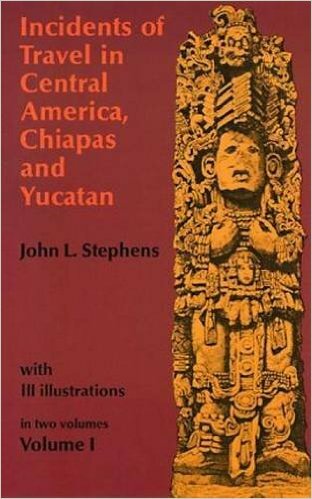 Thanks to the remarkable four-volume books Incidents of Travel, by John L. Stephens and Frederick Catherwood, we are given much insight into the hardships of travel and the impact of this splendid and high civilization on these explorers. printings of 20,000 copies each in only three months. I keep a copy with me to enjoy comparing their impressions with present-day Palenque. Although his prose is typical for that period, it’s richly descriptive and amusing. Stephens weaves details of their harrowing adventures, gives astute character profiles, evocative descriptions and levelheaded reasoning, spiced with wry humor. Catherwood provides distinctive drawings and quality architectural designs with floor plans, elevations and outside views of Palenque’s major structures. 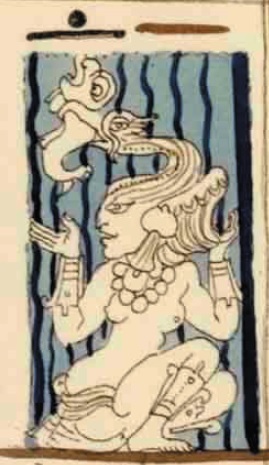 Thirty-one of his Palenque drawings were converted to engravings and published in the two Central American volumes. 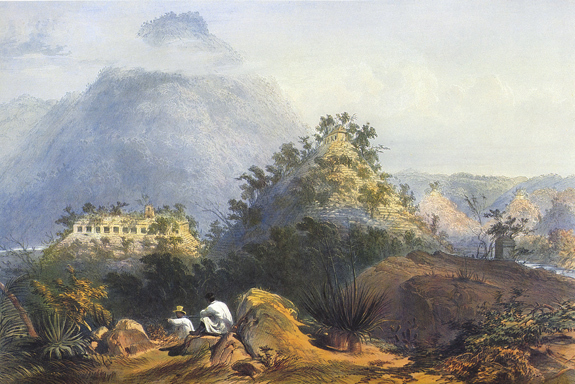 You get a real sense of travel in the mid-1800s in the back-country of Mexico and Central America. heralded the afternoon storm. Though located on the upper terrace of the palace and covered by a roof, the fierce wind blasted through open doors followed instantly by a deluge that soaked everything. They moved to an inside corridor but still could not escape the rain, and slept with clothes and bedding thoroughly wet. They solved the mosquito problem by bending sticks over their wood beds and sewing their sheets together, draping them over the sticks to form a mosquito net. Not all insects were odious. At night the darkness of the palace was lighted by huge fireflies of “extraordinary size and brilliance” that flew through corridors or clung to walls. Called locuyos, they were half an inch long and had luminescent spots by their eyes and under their wings. “Four of them together threw a brilliant light for several yards around” and one alone gave enough light to read a newspaper. According to the guide, there were five other buildings that Stephens numbered, but none could be seen from the palace. The closest was Casa 1, a ruined pyramid that apparently had steps on all sides, now thrown down by trees that required them to “clamber over stones, aiding the feet by clinging to the branches.” From descriptions and drawings, this structure is the Pyramid of the Inscriptions. Bas-relief stuccos on the four piers of the upper temple were reasonably well preserved, depicting four standing figures holding infants. The famous hieroglyphic tablets covering the interior wall were also in good condition. Casas 2, 3 and 5 are part of the Cross Group. 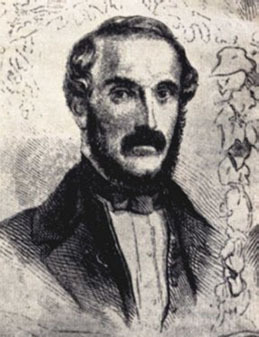 Stephens and Catherwood were deeply impressed by the stuccos and tablets that we now know belong to the Temple of the Cross and Temple of the Foliated Cross. The fantastic tablets from the first temple were incomplete and only the left tablet containing glyphs was in place. The middle tablet with two figures facing a cross had been removed and carried down the side of the pyramid, but deposited near the stream bank below. 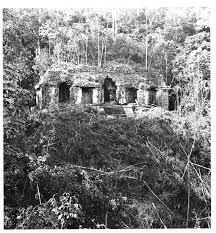 A villager intended to take it home, but was stopped by government orders forbidding further removal from the ruins. The right tablet was broken and fragmented, but from remnants they saw it contained more glyphs. 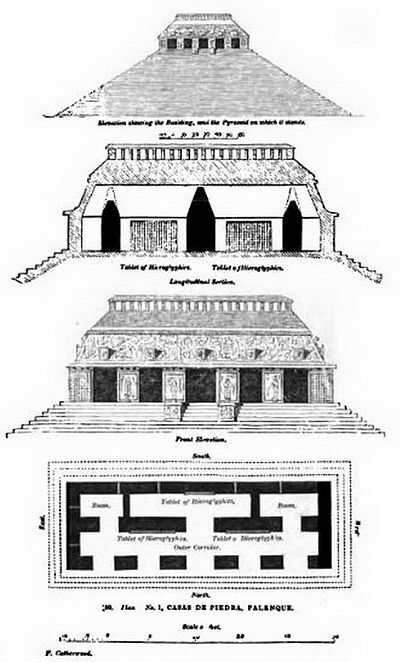 The second temple contained another tablet in near-perfect condition. 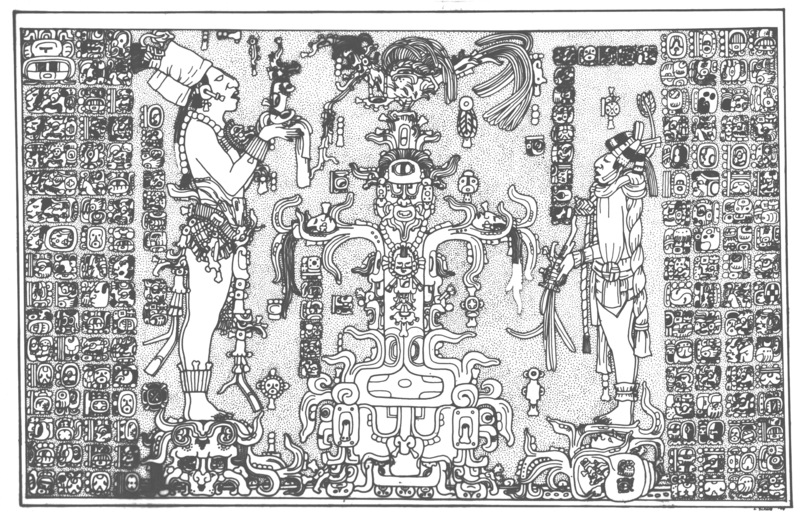 It had a central panel with two figures facing a large mask over two crossed batons, flanked on each side by panels of glyphs. The four piers of the temple’s entrance once contained sculptures; the outer two adorned with large medallions were still in place. The other two panels had been removed by villagers and set into the wall of a house. Copied earlier by Catherwood, these panels depicted two men facing each other. One was richly dressed and regal, the other an old man in jaguar pelt smoking a pipe. Later these famous sculptures were moved to the village church, and again later to the Palenque museum. Casa 4 was farthest away, southwest of the palace. It sat on a pyramid 100 feet above the bank of the river with the front wall entirely collapsed. 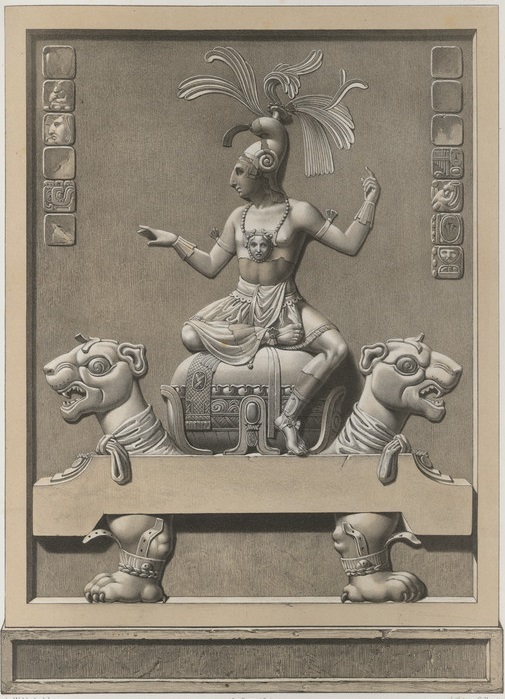 The large stucco tablet inside showed the bottom half of a figure sitting on a double-headed jaguar throne, the lovely Beau Relief partially destroyed by Waldeck. 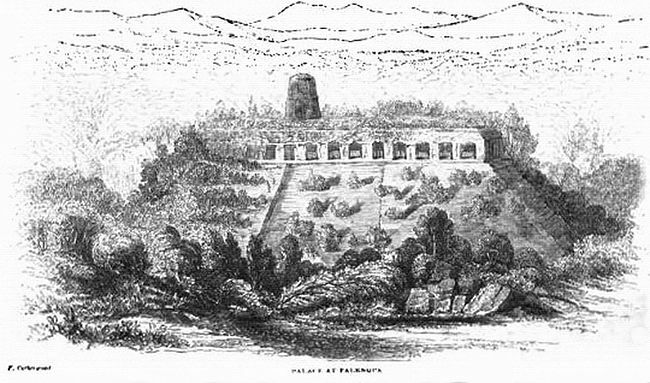 Stephens regretted this loss greatly (as do I) because it appeared to be “superior in execution to any other stucco relief in Palenque.” This small structure is now called Temple of the Jaguar. 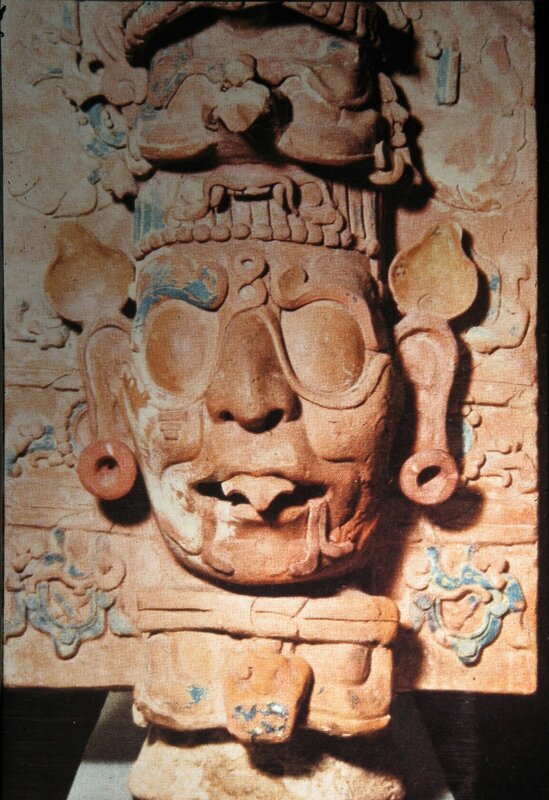 The Palenque Beau Relief: A Maya Beauty Vanishes. 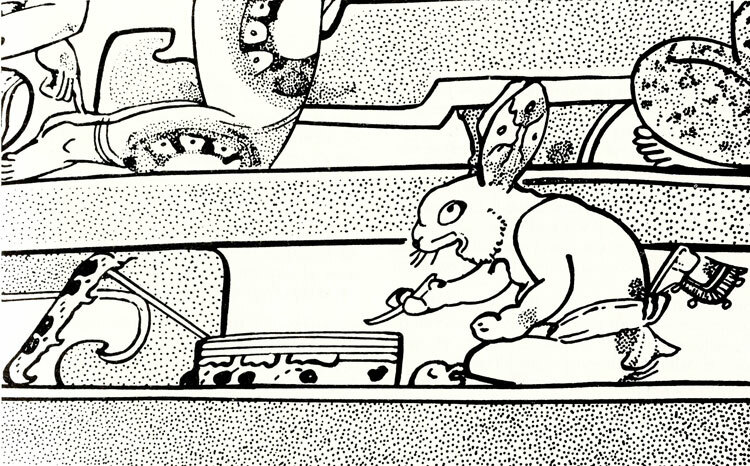 Stephens complains that artists of former expeditions failed to reproduce the detailed glyphs in Casas 1 and 3, and omitted drawings of Casa 2 altogether. 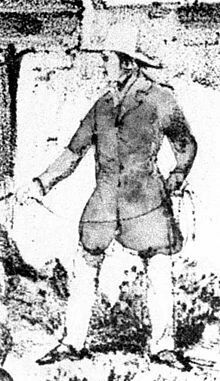 He believes these artists were “incapable of the labour, and the steady, determined perseverance required for drawing such complicated, unintelligible, and anomalous characters.” Catherwood used a camera lucida to project a light image of the glyphs and sculptures onto paper, and then drew the images to accurate scale and detail. He divided his paper into squares for copying glyphs to give accurate placement, reducing these large images and hand correcting the later engravings himself. One must admire these two men, working under terrible conditions with limited equipment, yet providing such a thorough account of the Palenque structures they saw. 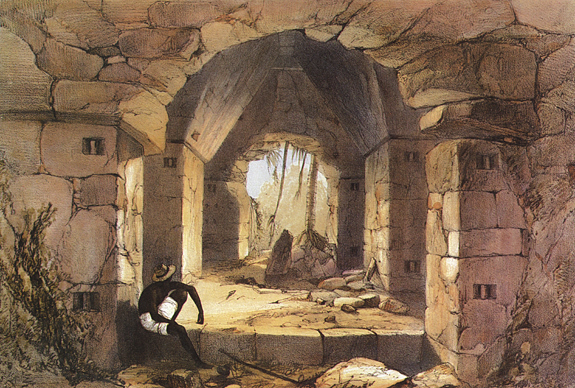 They needed to scrape off green moss, dig out roots, clean away layers of dissolved limestone, use candles to light dark inner chambers, build scaffolds to access high places, and endure a plethora of climate and insect assaults. 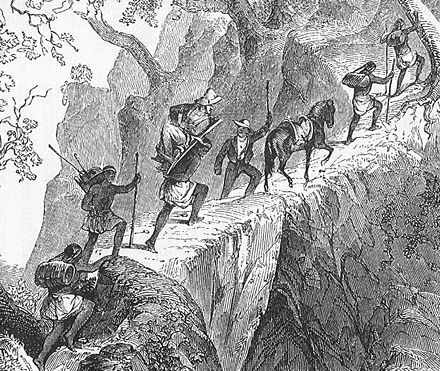 They paid the price of multiple mosquito bites, for both men contracted malaria and suffered repeated episodes of illness. 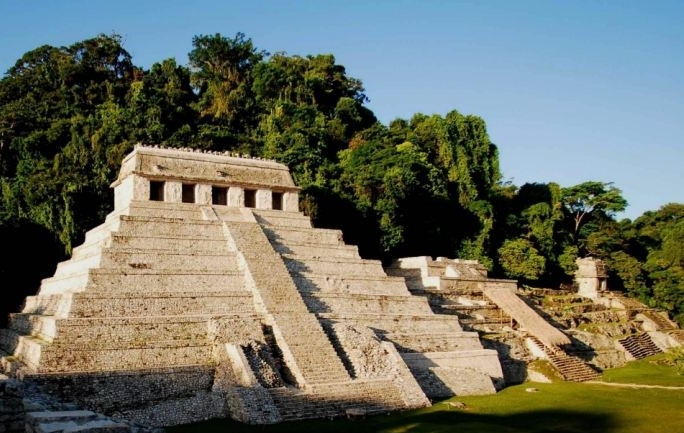 These excerpts from the Archeological Field Journal of Francesca Nokom Gutierrez, a fictional archeologist in my books, describe the history of archeological exploration at Palenque. 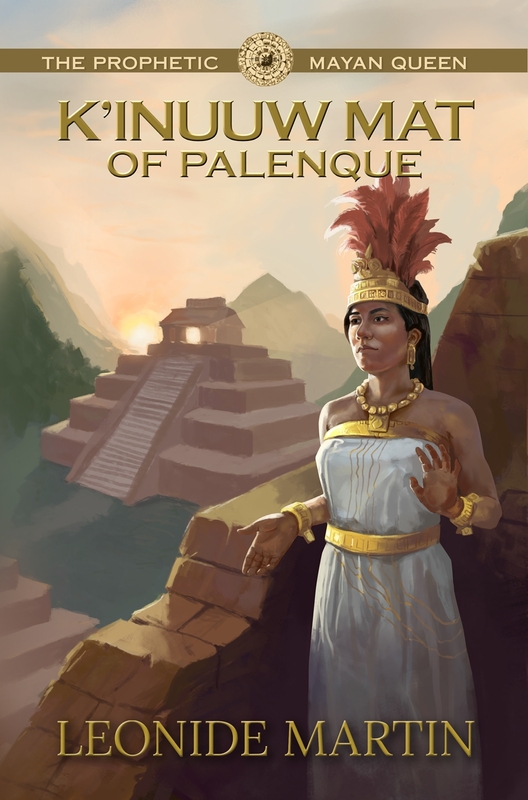 I’ll be doing several posts taken from her journal in the first 3 books in my “Mists of Palenque” series. 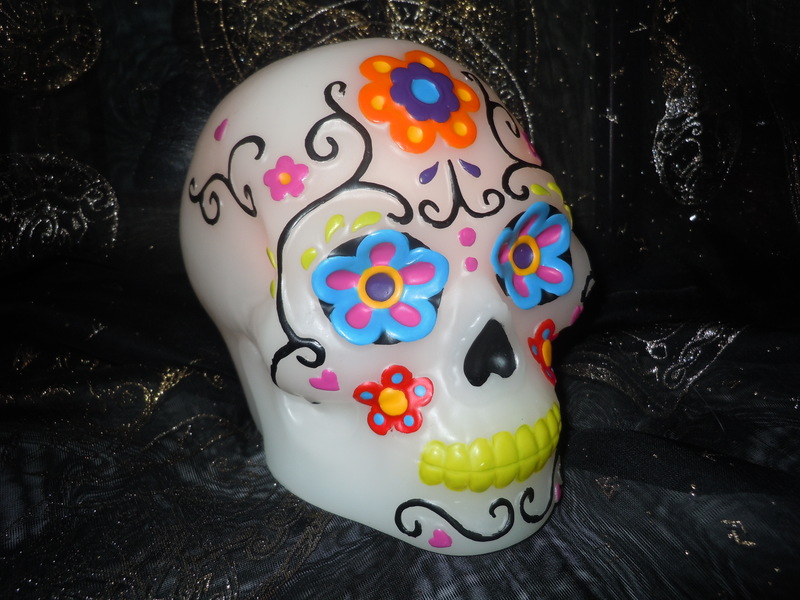 IF YOU ENJOYED THIS POST, WHY NOT JOIN MY BLOG NEWSLETTER?